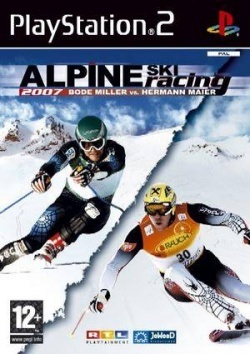 Game description: Alpine Ski Racing 2007 is the players key to the Alpine Ski World Cup, providing them with the unique opportunity to compete against stars like Hermann Maier and Bode Miller. Players will get the chance to create their own character and fight their way through the World Cup. Alternatively choose to compete as Hermann Maier or Bode Miller, challenging all the other pros and stars on the slope!